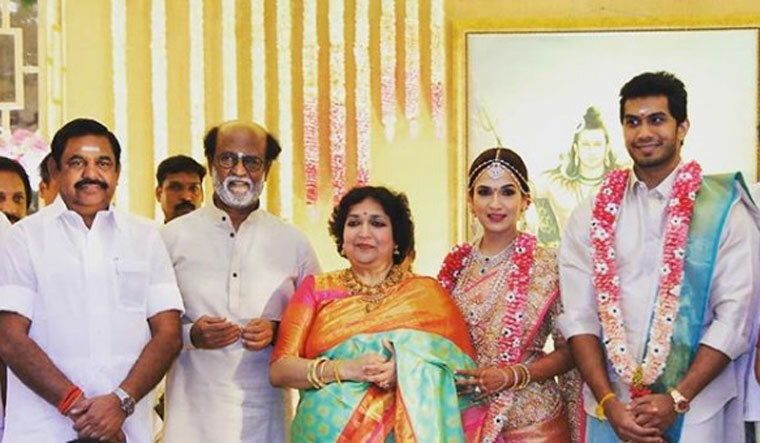 Rajinikanth's daughter Soundarya Rajinikanth tied the knot with businessman Vishagan Vanangamudi in Chennai on Monday. Also an actor, Vishagan was seen recently in Vangagar Ulagam. It was a star-studded affair with prominent political leaders and celebrities in attendance. The wedding ceremony was attended by Tamil Nadu Chief Minister Edappadi Palanisami, MDMK chief Vaiko, actor-politician Kamal Haasan, and actors like Andrea Jeremiah, Aditi Rao Hydari, Sivaji Prabhu and filmmaker Mani Ratnam. Earlier Soundarya had shared photos of the 'three most important men' in her life—her father Rajinikanth, son Ved, and Vishagan.  The internet is also buzzing with photographs and videos from the pre-wedding bash in which superstar Rajinikanth dances to the tunes of 'Oruvan Oruvan'. Soundarya was earlier married to Ashwin Ram Kumar. The duo got divorced in 2017, and since then Soundarya has been living with her parents and her son, Ved.